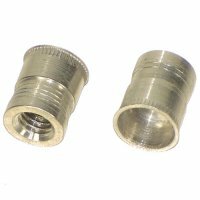 5/16 - 18 Coarse Thread, Ribbed Aluminum Thread-Sert Threaded Repair Inserts have small flanges and 360 degree swaging action as the rivet nut expands inside the hole. Provides high resistance to torque out with minimal backside protrusion. Can be installed in blind hole, a hole that is not broken through to the opposite side of the workpiece, with unlimited maximum grip range. 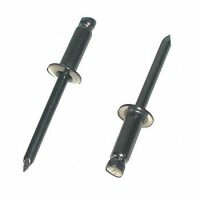 Can install with all pneumatic and manual Rivet Nut tools. Thread insert onto tool mandrel and insert into hole. 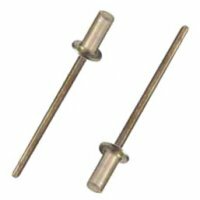 Actuate tool to properly set fastener into material. 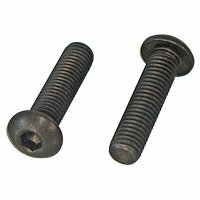 Complete your fastening operation with a bolt or screw with the proper thread. The expanding action of the thread-sert will provide a permanent thread. As threads are tightened, so are the insert and application.